You will be given a reference e-book to read which has 700 pages And the test will be based on that e-book , you can take the test only after 10 days Of &nbsp;purchase. Project management is a position in which an individual or individuals are in charge of the various complex aspects of planning out a project, measuring and controlling its consumed resources, and motivating and supervising all of the project’s participants. Many different techniques have been employed over the years in this field, and ultimately, no particular one is always going to be superior to another. As a rule, most project management courses therefore teach the finer points of many techniques, and educate the student in how to wisely blend the finer points of them into a philosophy and methodology that suits both the project manager and the project at hand. Professionals who are in charge of divisions and projects have a tremendous responsibility based upon themselves, not only as an authority figure, role model and example to their employees, but also for handling the logistics, strategies, and other complex challenges involved in managing any form of project. These complexities take the form of mathematics, statistics, humanities, and so much more. A management professional in charge of a project must be a jack of many trades and a master of the one for which he was hired. This makes project managers, a sort of demigod whose most fearsome judge is their own expectations. It takes a special type of mentality, and a special level of bravado for someone to willingly embrace the position of project manager. Thankfully, there are many special people out there who were up to this challenge, and it's a good thing too, considering how necessary a function they perform in any business machine. Project management is not something that one can simply learn on the fly, for the most part. It is highly recommended that anyone who expects to be placed in this position, or is pursuing this position to first take a project management office course. A project management office course will provide all of the statistical knowledge, logistics, basic humanities and other such eccentricities that must be truly understood in order to become a good project manager. It is far better to go into such a situation with a project management office certification, then without it. If pursuing a position such as this deliberately, few companies will hire someone who does not have a project management office certification. The best place to acquire such a skill certificate would be through online certification. Online certification eliminates costly tuition fees, hectic schedules and travel times, allowing busy adults to learn at their leisure. It is important to bear in mind that not all online certification providers are the same, and in that light, only one can be best. 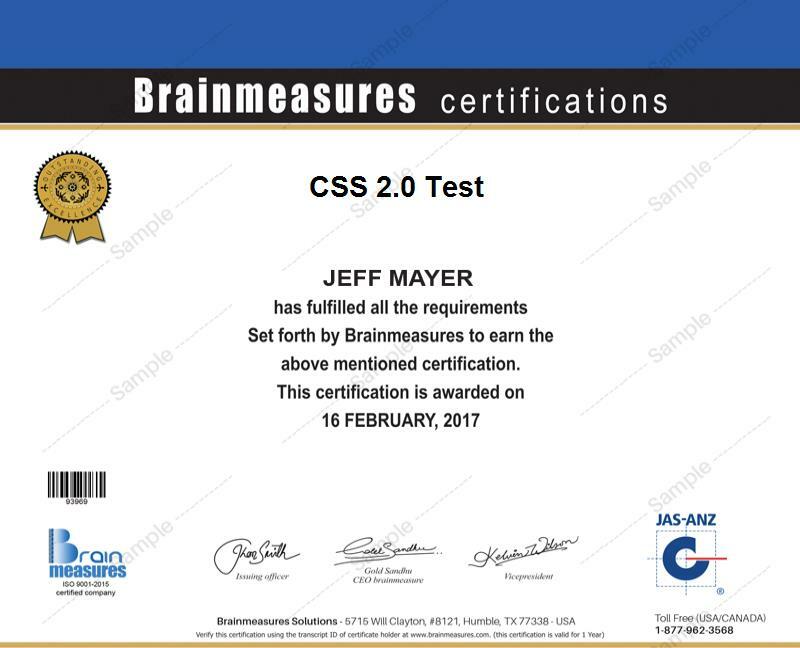 Brainmeasures is one of the leading online certification providers around. What makes Brainmeasures stand out against its competitors is our unique thought process behind health education should work. When we go to create a course, such as this project management course, we take an extra step that no other online certification provider will. Not only do we consult with experts, but we also listened to the stories they tell, from years of working in their field. When we go to compile the course, we include this experience through anecdotal reference, not only as a way to visualize the material for the student, but to give them an inherited level of experience that otherwise they would not have. This leaves our students more field-ready then any student from any other educator out there. This Certification course consists of reading material (the project management office course), and the project management exam, which is to be passed after completing the course. Upon passing the test, a student is awarded a skill certificate signifying that they possess a full project management office certification, with all of the privileges and responsibilities that come with it. This course is designed so that anyone with the initiative to take on great responsibilities, both morally and intellectually, and who can work under pressure should be able to master it. However, it does take a special type of person to want to work in this field, and it has a certain set of professions in mind. The positions which this certification program can make available to a student can vary depending on the applied field, and the success of the company in question. However, a lower assessment for a salary in most of these positions is no less than $102,000, with an upper range exceeding $450,000, and many marks in between.